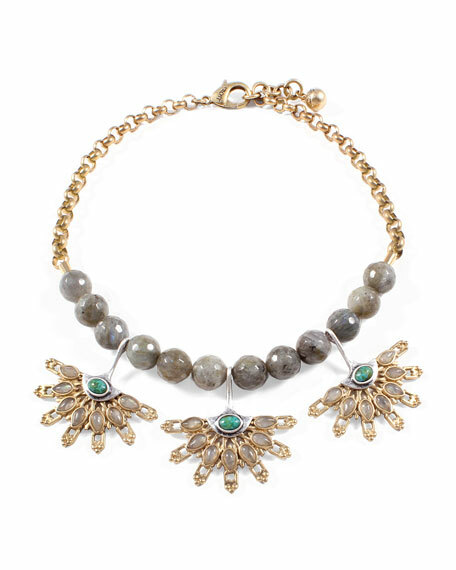 Lulu Frost "Marjorelle" beaded necklace. Mixed crystals with labradorite and turquoise accents. Approx. 16"L with 1" extender. For in-store inquiries, use sku #2128438.